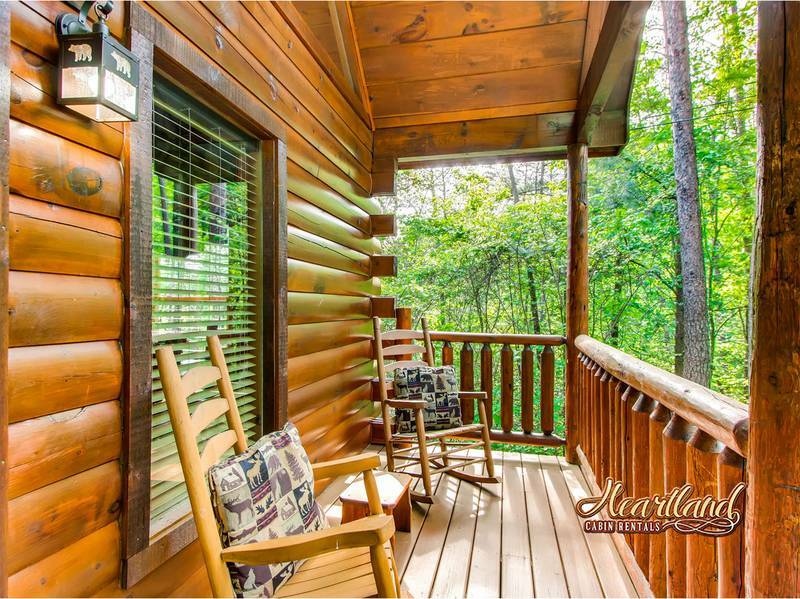 "Nice N Knotty" is a beautiful 1 bedroom cabin with WIFI conveniently located just a few minutes from both Gatlinburg and Pigeon Forge in Sky Harbor Resort. The main living room area features a large stone fireplace, cathedral ceilings and a 46 inch TV with cable, DVD and VCR player among beautiful furnishings. 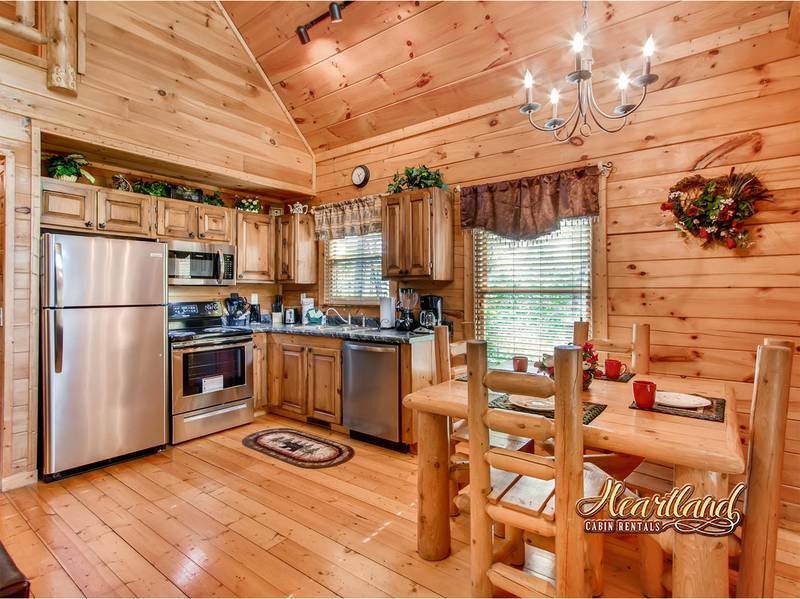 In the kitchen, you will find everything you need for cooking meals while on vacation in the Smoky Mountains. 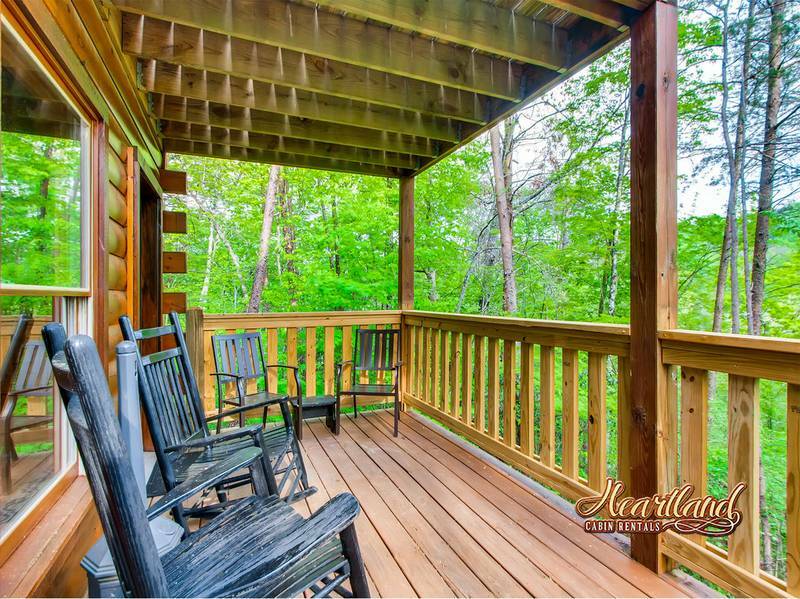 Dine at the log dining table or enjoy a meal just outside the kitchen on the deck surrounded by nature. 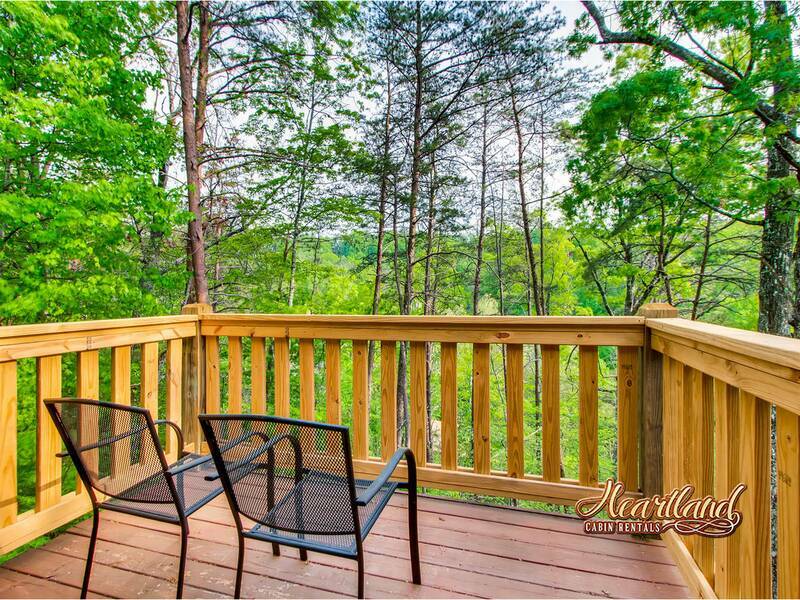 You can also fire up the charcoal grill and prepare a delicious meal outside. 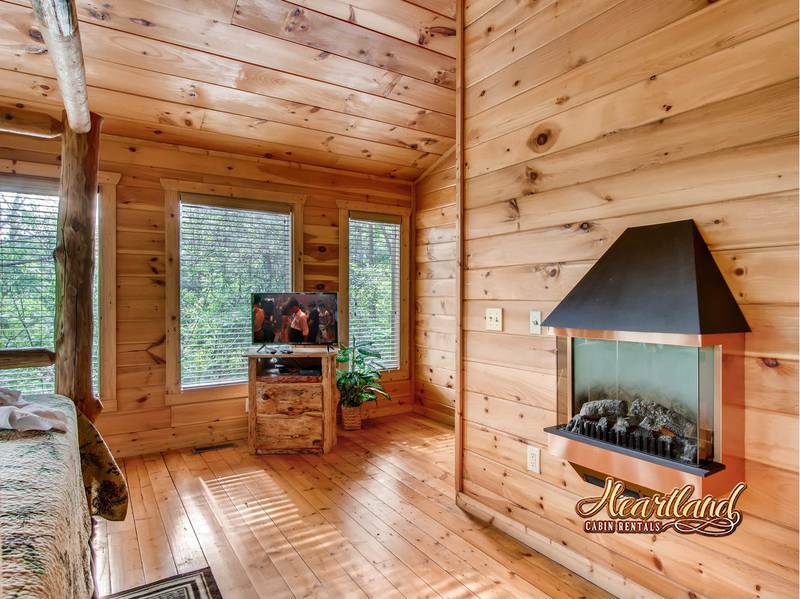 Imagine returning to this beautiful cabin after a day of exploring the Great Smoky Mountains or shopping in the cities to relax in the outdoor hot tub located on the back deck. 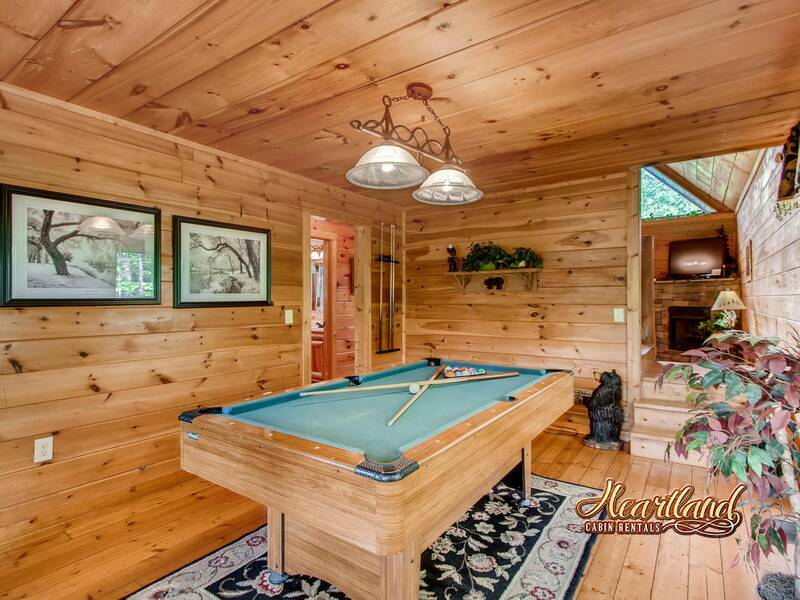 You will also find a pool table on the main floor in the game room for hours of entertainment and some friendly challenges among-st family and friends. 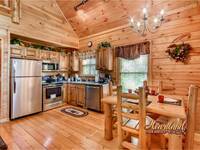 Nice N Knotty features 1 bedroom. 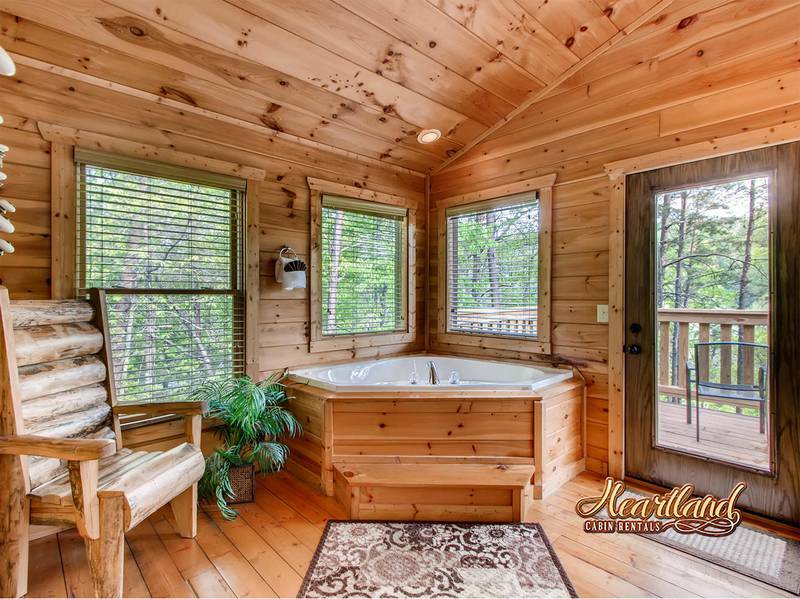 The master suite located upstairs has a king size bed, full bathroom, flat screen TV, jacuzzi tub, electric fireplace and your own private balcony. We had a great time, beautiful cabin. Great amenities, very clean. We will definitely be back! 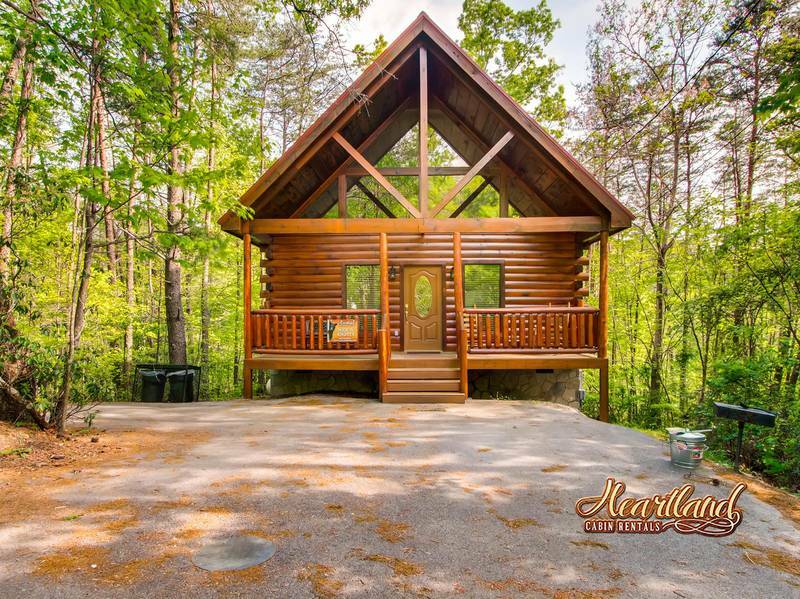 Perfect location and a nice little cozy cabin!! The staff was so friendly and accommodating. 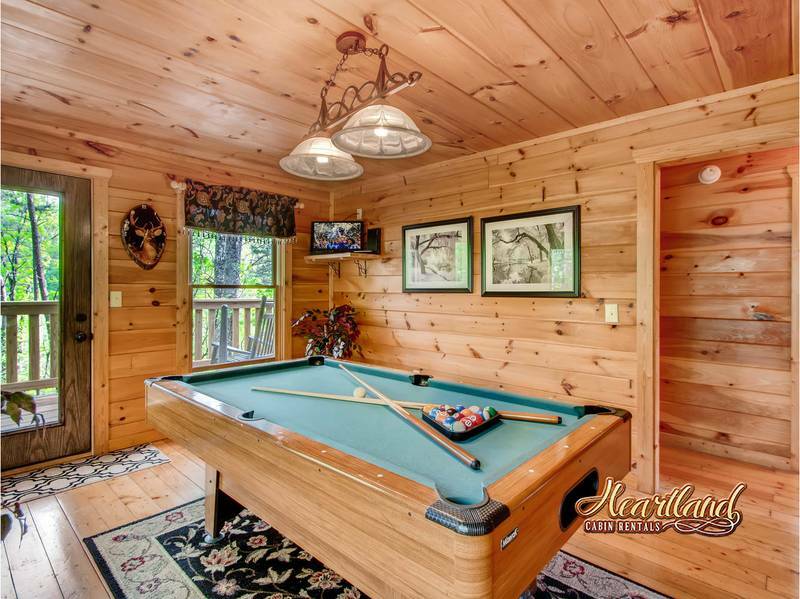 They even called to make sure we made it to the cabin and if everything was as it should be which was impressive. 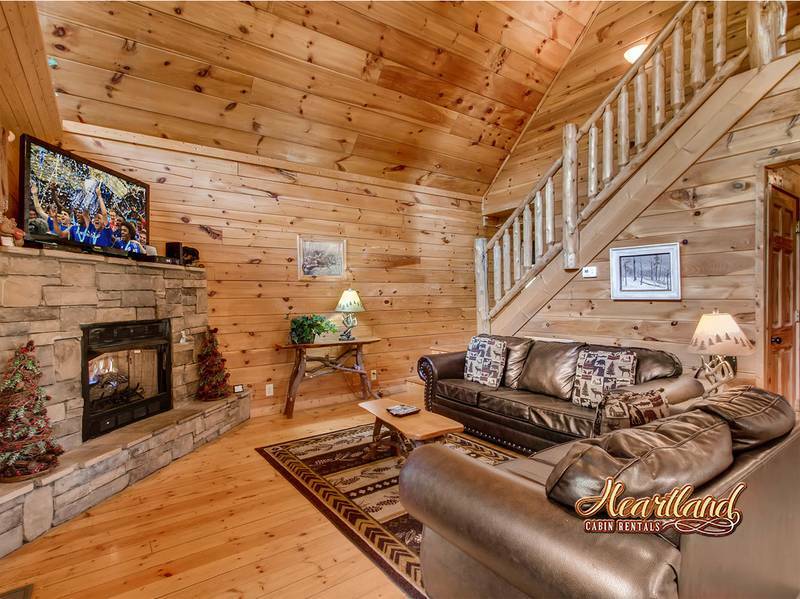 We would highly recommend and looking forward to booking with Heartland again. Thanks so much for a fantastic New Year's stay!!? The staff at Heartland was awesome as usual. 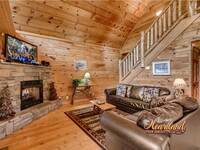 This was our 5th stay with Heartland and we will be back again in March. 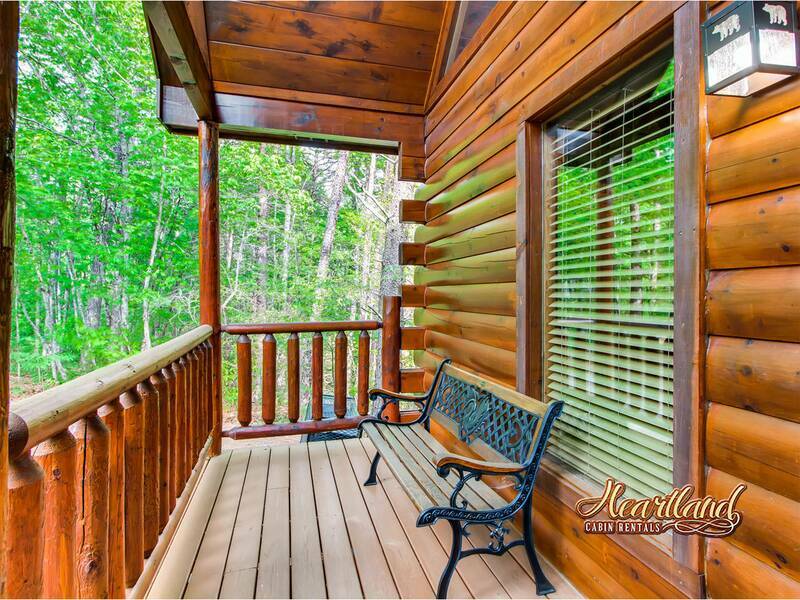 We really loved this cabin. It was a great location for us. It is located away from the city but, not too high up. So, it was easy to go back and forth a couple of times a day. It was very clean!! 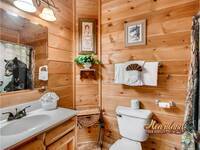 A wonderful, cozy, clean cabin! 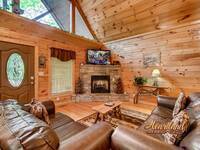 We had a wonderful time and so enjoyed the beautiful cabin! 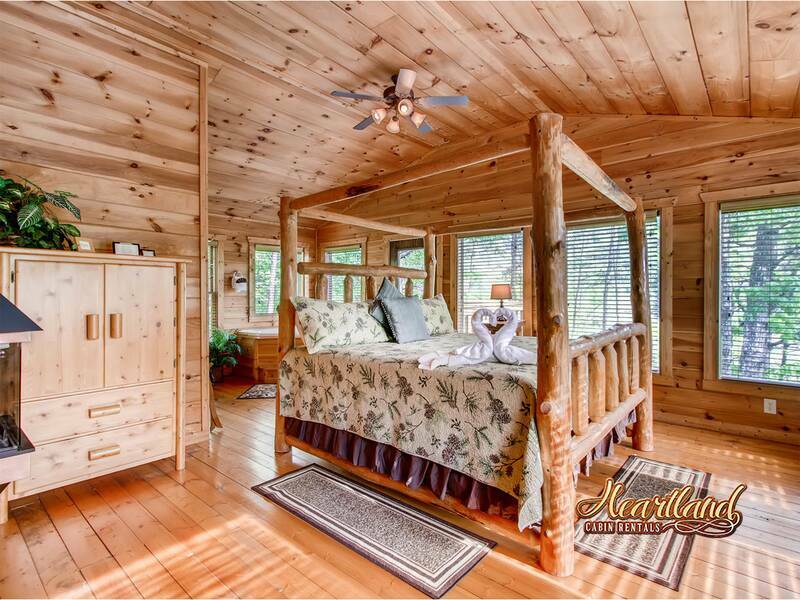 Very clean, nicely furnished and very comfortable beds! 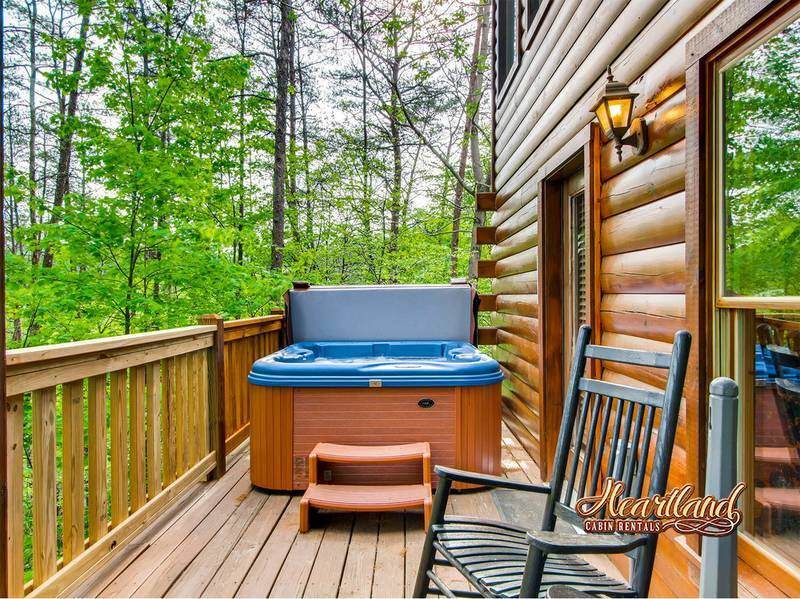 The hot tub was so nice and relaxing. We will be back! The cottage was great, perfect for our family of 4, with alot of extra room. 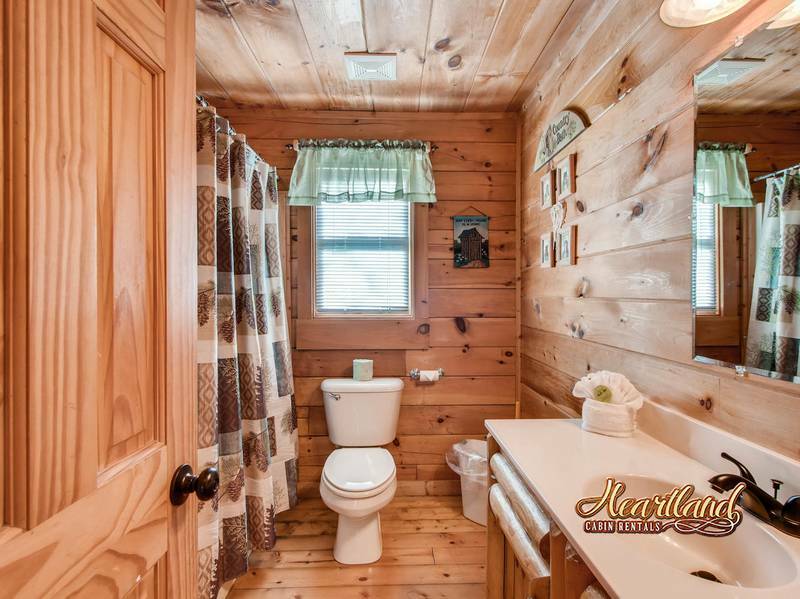 It's close to all the attractions but far enough that you still get that "camping in the woods" feel. The Heartland representatives were accommodating and answered all of our questions and concerns. Loved the cabin. It was laid out well for 2 couples. A few minor issues but not big enough to mention.